NASA has drawn up plans to build a huge nuclear spacecraft that is capable of shunting or blowing up dangerous space rocks and safeguarding life on Earth. 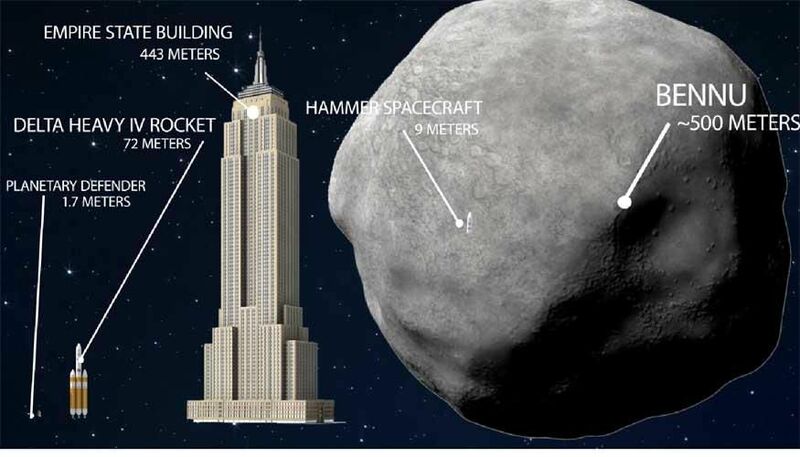 The spacecraft is named Hammer (Hypervelocity Asteroid Mitigation Mission for Emergency Response), an 8 ton spaceship. The asteroid that is targeted is Bennu which is circling the sun at 63,000 mph. It is now at a comfortable 54 million miles from Earth. NASA’s Osiris-Rex mission is en route to Bennu to take samples which is been monitored since its discovery in 1999. Bennu’s impact over earth would release three times more energy than all nuclear weapons detonated throughout history. The S. sahulensis is a separate species within the Sousa (Humpback dolphin) family. It is endemic to northern Australia and southern New Guinea. They are referred to as an ‘inshore’ species because they mostly occur in shallow near shore waters, often at the mouths of estuaries and in tidal channels. They are considered vulnerable by the International Union for Conservation of Nature Red List. 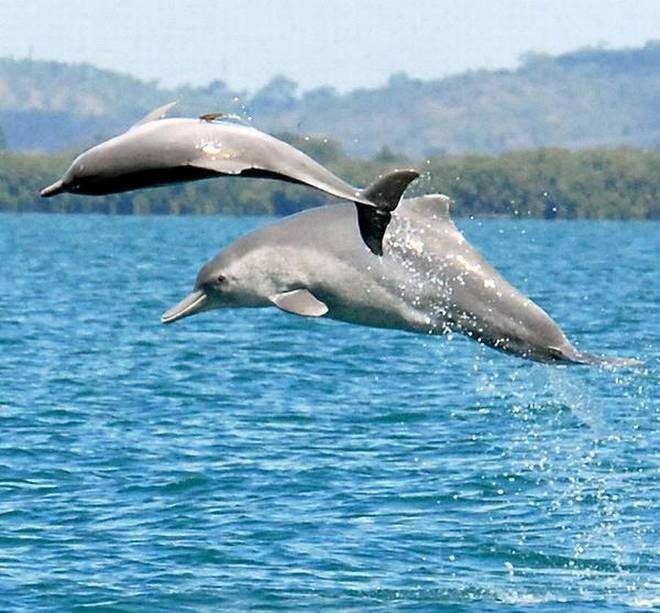 Australian humpback dolphin populations along the east coast of Queensland are characterized by low levels of genetic diversity, limited gene flow, and small effective population size. Anthropological Survey of India (AnSI) have discovered a number of Acheulian artifacts (dated to about 1, 500,000–1, 50,000 years ago) at Ghumarwin in Bilaspur district of Himachal Pradesh. The site is close to the site where scientists in the 19th century discovered fossil remains of Sivapithecus, the last common ancestor of orangutans and humans. The oldest dated Acheulian sites in India are at Attirampakkam in Tamil Nadu, dating to 1.5 million years ago. It is the first time that the AnSI has found a large number of Acheulian artifacts along with the Soanian tools (about 6,00,000 years ago) at a same site. Acheulian is an archaeological industry of stone tool manufacture characterized by distinctive oval and pear-shaped “hand-axes” associated with early humans. The Soanian is an archaeological culture of the Lower Paleolithic in the Siwalik region of the Indian subcontinent. Scientists are collecting the most fine-grained details about freshly fallen snowflakes and their evolution once they fallen in New York’s Catskill Mountains. Snowflake is a flake of snow, especially a feathery ice crystal, typically displaying delicate sixfold symmetry. The data collected could provide clues to the changing climate. Snowflakes formed in different places have different characteristics. In the Eastern U.S. it tends to be moister than the powdery snow that falls in higher elevation in the West. The specimens collected displayed more rounded edges and irregularities than the classic crystalline forms. This is characteristic of flakes formed up high in warmer air, suggesting climate change. The FSB released its initial assessment of crypto-assets recently which states that they do not pose risk to global financial stability at present time. It is an international body that monitors and makes recommendations about the global financial system. In the G20 Leaders Summit of April 2009, the expanded Financial Stability Forum was re-established as the Financial Stability Board (FSB) with a broadened mandate to promote financial stability. It coordinates financial regulation for the Group of 20 Economies. Its headquarters is at Basel, Switzerland. 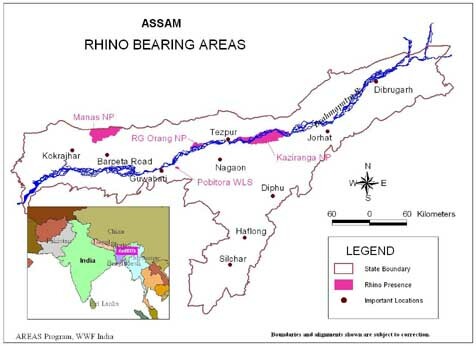 It harbors world’s highest density of rhinoceros. In winter, Pobitora becomes a birder’s heaven, with thousands of waterfowl thronging the wetlands. Pobitora can be divided into three distinct categories: forest, grassland and water bodies or beels. · Morocco joining AU in 2017, all 55 countries on the African continent are part of African Union (AU). · The Horn of Africa denotes the countries of Djibouti, Eritrea, Ethiopia, and Somalia. · “Cotton Four” (C4) countries are Burkina Faso, Benin, Chad and Mali. · Morocco, Algeria, Tunisia, Libya, Egypt, Mauritania, Sudan, Djibouti, Somalia & Comoros are part of Arab League. · East African Community (EAC) is composed of six countries in the African Great Lakes region viz. Burundi, Kenya, Rwanda, South Sudan, Tanzania, and Uganda. · Sub-Saharan Africa describes the area of the African continent which lies south of the Sahara Desert. · Maghreb region consists of the Algeria, Morocco, Tunisia, Libya, Mauritania and some areas of Western Sahara. · The landlocked countries in Africa are Botswana, Burkina Faso, Burundi, Central African Republic, Chad, Ethiopia, Lesotho, Malawi, Mali, Niger, Rwanda, Swaziland, Uganda, Zambia, and Zimbabwe.